The Fairtrade Foundation commissioned NEF Consulting to conduct a social cost benefit analysis (SCBA) of a hypothetical collaborative sustainability initiative in the market for fresh pineapples in the UK. The initiative would involve the retailers agreeing to a specific set of sustainable and ethical production standards and to pay a premium for sustainable and ethical pineapples to the producer, for an agreed share of their fresh pineapple purchases. With global food supplies under pressure from factors including increasing population, environmental damage, poverty and climate change, there is an increasing need to support sustainable production and consumption. The Fairtrade Foundation (FTF) commissioned NEF Consulting to identify potential costs and benefits of collaboration on sustainability initiatives in food supply chains. This was intended to demonstrate generally how collaboration for sustainability purposes might be consistent with competition law. When prices and production standards in supply chains are too low, they impact not only on human rights standards and the quality of life of the producer, but also lead to a lack of environmental sustainability in the supply chain, and a lack of future-proofing against the impacts of climate change. Collaboration between retailers for sustainability purposes could help to mitigate these potential risks for future continuity of supply, choice and cost for UK consumers. The hypothetical initiative would involve retailers agreeing to a specific set of sustainable and ethical production standards and to pay a premium for sustainable and ethical pineapples to the producer, for an agreed share of their fresh pineapple purchases. The price for the consumer would not be set, retaining competition between retailers. 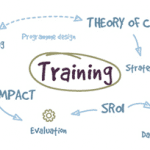 NEF Consulting used a social cost-benefit analysis (SCBA) to look at the effects on UK consumers of the hypothetical collaborative sustainability initiative. In addition to focusing on the economic outcomes of a traditional cost-benefit analysis, the analysis looked at wider environmental and social costs and benefits potentially arising from the collaboration. Collaboration will result in better quality produce being introduced onto the market, both in terms of objective features of the pineapples, for example physical and flavour quality, and subjective value for example consumer perceptions associated with sustainable/ethical varieties. More stable and resilient future market. By reducing risky agricultural practices such as mono-cropping, the collaboration is also likely to enable a more stable and resilient pineapple market in the long run, an impact which would have benefits not just for current fresh pineapple consumers but also for future consumers of pineapples. Avoided climate change impacts through reduction in greenhouse gas emissions. By promoting more environmentally sustainable farming practices among pineapple producers, the collaboration could reduce negative environmental impacts, notably greenhouse gas emissions. Three scenarios were modelled in the SCBA, ranging from conservative to optimistic. In all scenarios the benefit-cost ratio (benefits divided by costs) is greater than one, and the net benefit (benefits minus costs) is positive. This would suggest that a collaboration designed in this way would improve consumer welfare, creating value greater than the overall cost to consumers arising from the collaboration. The results show that, even in the conservative case, benefits exceed costs by a multiple of 1.4, increasing to a multiple of 5.6 with more optimistic assumptions. Download the Fairtrade Foundation’s report based on this study here. Providing independent certification of the trade chain for products and license the use of the FAIRTRADE Mark on products. Helping in growing demand for Fairtrade products and empowering producers to sell to traders and retailers. Finding new ways of working with our partners to support producer organisations and their networks. Raising awareness of the need for Fairtrade to the public and the significant role of Fairtrade in making trade fair. 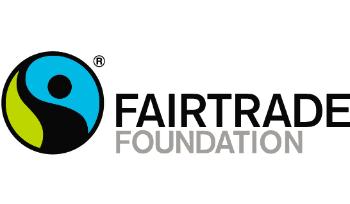 The Foundation is the UK member of Fairtrade International, which unites over 20 labelling initiatives across Europe, Japan, North America, Mexico and Australia/New Zealand as well as networks of producer organisations from Asia, Africa, Latin America and the Caribbean.